I’m having a “too soon old, too late smart” moment. For 25 years as a YMCA director I had the privilege of engaging donors in our work. Now, for the last 18 years I’ve been on the other side of the table as a donor listening to many pitches. I wish I would have known what makes for a mutually gratifying donor conversation. I talked too much and listened too little. 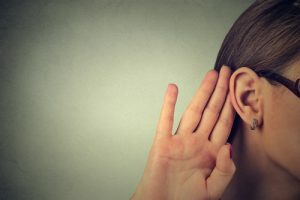 I find it interesting, after someone pointed it out to me recently, that the words “LISTEN” and “SILENT” have the same letters in them. Bear with me here. -What challenges are you facing? -How will you tackle those? And then she would “LISTEN” as I answered each one. Listening is active. It means not formulating your next question before the answer to the last one is fully given. And that means remaining “SILENT” and hearing what is being said. Wait for my answer. And LISTEN some more. If I would start with another organization or cause she would validate this notion and help me connect to folks doing this work. She would help me be generous to someone other than her organization. What is it about the participants in our organization ? What is it about the staff? What is it about the culture of our organization? Finally, eureka! Help me engage in a specific way after hearing my heart. I wonder, am I dreaming? What does your fantasy fundraising call look like? We are given two ears and only one mouth after all. John, Thank you for your wise counsel. I agree with you and this post sounds like the old Hymn, Just as I Am . . . with me ready to walk the aisle of re dedication to my fundraising professional life. Once again John Stanley… great insights… You were born for this role of coaching us on both sides of the discussion on generosity. Well done! Once again John Stanley… great insights… You were born for this role of coaching us on both sides of the discussion on generosity. So often as we are seeking support it is easy to engage our story without listening well to where the giver’s story intersects with our passions. This is a great reminder…Well done!